NEW ORLEANS – Since the Crescent City last saw native son Regis “Rougarou” Prograis in the ring in July, it’s been a whirlwind for the rising star of boxing’s super lightweight division. Prograis has been to Russia, Brazil and then in training for nearly six weeks in both Los Angeles and Houston as he counts down to an Oct. 27 matchup with Englishman Terry Flanagan at UNO Lakefront Arena. The longer camp allowed Prograis and trainer Bobby Benton to change the focus initially. Prograis was wearing a reminder of how difficult training for the fight has been, showing a mark below his left eye as a result of a “little pop” in training Tuesday. It’s the second consecutive fight at Lakefront Arena for Prograis, who dispatched Juan Jose Velasco in an eighth-round TKO in the headline event of New Orleans’ first championship fight card in nearly two decades. A win against Flanagan could mean a return to New Orleans for his next bout. Prograis, who is 22-0 in his career with 19 knockouts, is not only the No. 1 seed in the super lightweight bracket for the Ali Trophy, but ranked No. 1 in the 140-pound division by ESPN. As the top seed, he had a choice of opponents and picked Flanagan (33-1, 13 KOs). If Prograis can win the Ali Trophy – the final would likely happen around June 2019 – he has in his sight a matchup with fellow unbeaten Jose Ramirez (23-0). Prograis attended Ramirez’s fight last month in Fresno, California. Prograis and his team were headed back to Houston late Wednesday to resume training before returning to New Orleans in the days leading up to the fight. The Prograis-Flanagan co-headliner is another Ali Trophy super-lightweight quarterfinal between Ivan Baranchyk and Anthony Yigit for the IBF world championship. The undercard is expected to begin at 6 p.m., with the two main events at about 9. Tickets are available through Ticketmaster and the Lakefront Arena box office. Corpus Christi, Texas………. The Corpus Christi Hooks Baseball Team, the double-A affiliate for the Houston Astros, along with Texas boxing promotion company, CCC Entertainment in conjunction with Keeppunching Entertainment are bring big time boxing to WHATABURGER FIELDSeptember 22nd. The new promotional company is headed by Clayton Campbell, a medical office manager for his father, Dr. Charles Campbell and Dr. Campbell’s wife, Mary. The daughter/son partnership is looking to add excitement to the boxing world in one of the boxing hubs of Texas. Dr. Campbell and his other son, Colin, work as managers of professional boxers. Kerry Daigle of Keeppunching Entertainment in Louisiana brings his 45 years of experience in boxing to the city of Corpus to work with this illustrious crew. Dr. Campbell and his wife, Mary, are well known philanthropists in the state of Texas. The main event will be a heavyweight showdown of undefeated heavyweights fighting for the Texas Heavyweight Championship. Justin “Jawbreaker” Jones, (21 wins, 0 losses, 2 draws) will face Cuban heavyweight, Robert Alphonso, 16-0, who now lives in Texas. Jones is trained by Houston based Termite Watkins and former WBC heavyweight champion of the world, Oliver McCall. Alphonso is trained by the current WBC heavyweight champion’s (Deontay Wilder) trainer, Jay Deas. Two undefeated heavyweights with outstanding records facing each other is not something normal. Generally, you don’t see this unless the undefeated fighters have 8 or less fights before taking chances against another undefeated boxer. This is a new era in heavyweight boxing. The best fight to be made in heavyweight boxing with undefeated prospects. The right fight at the right time in the right city because, as we all know, heavyweight boxing is ‘hot’ right now. This is a step up for both heavyweights and is expected to be a hotly contested match that will feature heavyweight punches blazing into the night on Whataburger field each looking to land a ‘home run’ punch. This is heavyweight boxing of yesteryear where the contestants are more interested in their legacy than fighting lesser opposition. It’s a ‘set the stage’ fight that will exceed expectations for the fans of Texas and surrounding states. Each will be elevated to another level. These are not 40+ year old boxers but instead boxers in their prime looking for a place among the best and Corpus Christi (along with boxing in general) will benefit. Heavyweight boxing is exciting….it’s well…it’s thriving…and it’s happening right here in America. A perfect storm before the announcement of Deontay Wilder fighting Tyson Fury at the end of this year, undefeated fighting undefeated. The co-main event will feature a 10 round NABF Lightweight Female Championship fight featuring the ever popular and crowd favorite Selina “The Aztec Queen” Barrios, the undefeated sensation from San Antonio, Texas facing her third undefeated fighter in a row by the name of Patricia Juarez of Colorado. Juarez is the sister of 5 time world champion, Mariana “Barbie” Juarez. Barrios brother is Mario Barrios, the undefeated super lightweight ( 22-0) preparing for a world title shot in 2019. This is the perfect mesh of styles where Juarez has won all of her fights by unanimous decision and is considered a superb boxer while Barrios is known for cement in both fists and a warrior. Ernest Reyna, a local cruiserweight, will be featured on the undercard along with undefeated sensation Luis Acosta from Houston, Texas who has 6 knockouts in 6 fights. Joining these two will be Neller Obrigon, an undefeated light heavyweight at 8-0 along with undefeated welterweight Terry Chapwood of Arkansas at 7-0. Dr. Charles Campbell and Colin Campbell, co-managers of the two main events in Jones and Barrios are confident their fighters will be victorious. “ We want to show the world that these two boxers are ready for the best in the world and we know they will both step their game up to show everyone they are here to bring home a world championship to Corpus,” states Colin. Kerry Daigle of Keeppunching Entertainment is ecstatic about this team being put together to bring big time boxing to the City of Pugilists, Corpus Christi. “Our team with CCC Entertainment, the Corpus Christi Hooks, and the Houston Astros look to make a mark in Texas with high quality shows. This will be entertainment at it’s best. The Hooks and Astros know how to put together a first class event. It’s the beginning of an exciting exclusive partnership between CCC Entertainment, Corpus Christi Hooks, Houston Astros, and Keeppunching Entertainment. SAN ANTONIO, TX (August 17, 2018) - Undefeated NABF Lightweight champion, Selina "Aztec Queen" Barrios (4-0, 2 KOs), has an opponent for her Corpus Christi Showdown on September 8, 2018. 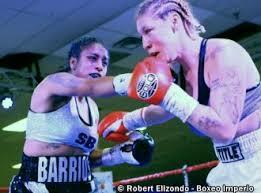 Barrios will face Patricia Juarez (4-0), sister of WBC Bantamweight champion, Mariana "Barbie" Juarez (50-9-4, 13 KOs). On the line will be Selina's NABF Lightweight title. The 10-round bout will take place at Whataburger Field, home to the Corpus Christi Hooks, the double-A affiliate of the Houston Astros. "Patricia Juarez asked to fight me, and I feel that part of being a champion is accepting fights with worthy opponents," said Selina Barrios, who hails from San Antonio, TX. "She is an undefeated fighter with the same record as me, and her sister is a future Hall of Famer. I look forward to making a title defense against a worthy challenger like Patricia Juarez." "I want to represent Mexico and fight on behalf of my country, and win this title for my people," said Patricia Juarez, who trains in Denver, Colorado. "I asked for this fight, and now I have it. I can't wait to take advantage of this opportunity and follow in the footsteps of my sister Mariana. I'm going to bring home a victory for my people back home in Mexico." In her last bout, Barrios, who is a devastating power-puncher, scored a sensational knockout against previously unbeaten, Aida "Lady Sparta" Satybaldinova (3-1-1). The knockout has already been featured on many boxing publications list for knockout of the year, as Barrios showed off uncanny punching power for the women's lightweight division. "Selina Barrios is one of the most talented fighters in the world and will be a force for anyone in her division," said Kerry Daigle, Selina Barrios' advisor. "What separates Selina from the rest of her peers, is her high-level ring intelligence, along with devastating punching power"
Barrios, who captured the NABF Lightweight title in only her third pro fight is taking a Vasyl Lomachenko approach to women's boxing as she is facing her third undefeated fighter in a row. "Corpus Christi fell in love with Selina's style and power in her last fight, and what she is doing in women's boxing, hasn't been done before," said Colin Campbell, who co-manages Barrios with his dad Charles. She is fighting the best opposition she can and knocking them out in dramatic fashion. "There is no doubt in my mind, Selina will be the next female fighter to showcase her talents on a major network," stated co-manager Charles Campbell. "She has the fighting style that everyone wants to see. She truly is the Roberto Duran of women's boxing. OAKLAND, CA. (July 18, 2018) - Unbeaten super lightweight contender Mario Barrios will look to deliver a sixth-consecutive knockout when he faces Jose Roman on Saturday, July 28 live on SHOWTIME from STAPLES Center in Los Angeles in an event presented by Premier Boxing Champions. The three-fight SHOWTIME CHAMPIONSHIP BOXING telecast (10 p.m. ET/7 p.m. PT) is headlined by a lightweight title unification showdown between Mikey Garcia and Robert Easter Jr. and also features Cuban heavyweight slugger Luis "The Real King Kong" Ortiz returning to action to face former title challenger Razvan Cojanu in a 10-round bout. "Roman is a very dangerous fighter with a good record. He's a tall fighter like myself, so that will be a different challenge for me to overcome. "There is no doubt he will be my toughest opponent to date. These are the kind of difficult fights I need to win and win convincingly to get to the championship level. I'm going in there on mission July 28 and I'm going to prove I'm ready for a title shot. "I know he's motivated going into this fight since he'll be fighting near his hometown. I'm just going to stick to my game plan and focus on what I must do, and that's throw hard punches with precise accuracy." "Since I've move up to super-lightweight, my body has adjusted to the weight gain, and I'm feeling stronger than I ever have. I'm still growing into my man strength and my power is growing as well. I never go into a fight looking for the knockout, but if I get my opponent hurt, I promise I'll be looking to take him out." "I've had a tremendous training camp. For the first few weeks I was training in San Antonio at the South Park Boxing Gym with my dad and Rick Nunez laying the groundwork for what we wanted to accomplish. "Then I finished it off in up in Northern California with Virgil Hunter, who will be guiding my corner. Together we all make a fantastic team. I've had tremendous sparring for this fight, my health is good and I'm ready to go." 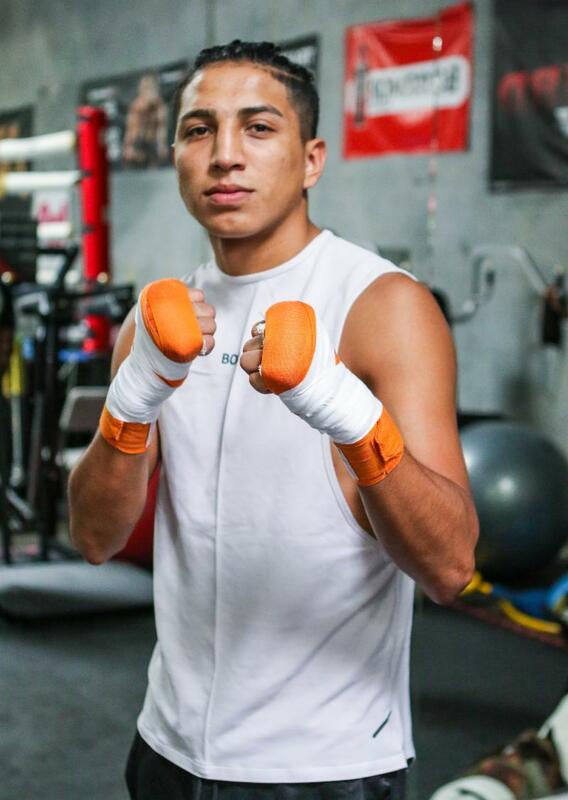 "I'm really excited to be making my debut on SHOWTIME debut on this card. I always knew I would be fighting on the big stage at some point in my career. Now it's time to show the world what I'm made of. I'm very grateful to my team for giving me this opportunity." For more information visit www.SHO.com/Sports, www.premierboxingchampions.com and www.staplescenter.com follow on Twitter @ShowtimeBoxing, @SHOSports, @PremierBoxing @MikeyGarcia, @RobertEaster_Jr, @Ringstar, @TGBPromotions @STAPLESCenter and @Swanson_Comm or become a fan on Facebook at www.Facebook.com/SHOSports, www.Facebook.com/PremierBoxingChampions and www.facebook.com/STAPLESCenter.PBC is sponsored by Corona, La Cerveza Mas Fina. CORPUS CHRISTI, TX (July 8, 2018) - Last night in star fashion, San Antonio's undefeated female boxing sensation, Selina "Aztec Queen" Barrios," improved to (4-0, 2 KOs), with devastating one punch knockout over current WBF international lightweight champion, Aida "Lady Sparta" Satybaldinova (3-1-1). Barrios landed a crushing picture perfect left hook to the chin of Satybaldinova, ending the bout at the 1:24 mark of round four, in what many would say is a candidate for "Knockout of the Year". The fight that took place at the American Bank Center Water Garden room in Corpus Christi, TX, presented by Reyna Promotions. From the opening bell both fighters went bombs away, with Selina landing the cleaner, more powerful blows to Satybaldinova. "Lady Sparta" was all game as she went toe-to-toe with Barrios, holding her ground for the time being, but taking a lot of damage. In round two, both fighters continued to leave everything in the ring, throwing power punches with both hands. Barrios again was getting the better punches off. In round three, Barrios hurt Satybaldinova with a combination flurry of punches, but Aida being the warrior that she is, made it to round four. After another aggressive being to the round, Barrios landed that massive left hook to the jaw of Satybaldinova, and the fight was over. "I wanted to come out tonight and give my Texas fans a night to remember," said Selina Barrios, who is the current NABF lightweight champion. "After feeling her out in the first couple of rounds, I knew I was going to land a big shot at some point in the right, because she was standing right in front of me. When I landed that left hook, I knew she wasn't going to get up. I set it up nicely, and she walked right into it. I have a lot of respect for Aida, she fought like a warrior, and if she wants the rematch, I'll give it to her." "I fought hard but didn't get victory tonight," said Satybaldinova. "Next time I will win. I will continue to work harder to fight the best. I will never give up. I hope to fight Selina again in rematch." With the victory, Selina gets the fourth win of her career. Barrios said she is willing to fight anyone in the lightweight division, including all champions. When asked about what next Barrios stated. "I want to call out all the women fighting in the lightweight division." Barrios continued. "You might have took the Olympics from me, but you cant run from me now. Katie Taylor and Mikaela Mayer, you can't hide forever, I'm coming for all Y'all." "Selina put on a spectacular show tonight," said Colin Campbell, co-manager of Barrios. "A performance like this puts her at the top of all females vying to be considered the most dangerous fighter in women's boxing." "What an unbelievable knockout Selina displayed tonight," stated Charles Campbell, who co-manages Barrios with his son Colin. "Once the knockout hits the masses, its going to go viral. Selina belongs up there with Clarissa Shield as one of the best female boxers in the sport. No female boxer is more exciting to watch then Selina Barrios, no one!" "All females fighting at lightweight and super featherweight better take notice of Selina Barrios." said Barrios' advisor-promoter Kerry Daigle, of Keep Punching Entertainment. "Although Selina had a remarkable performance tonight, the best is yet to come. We still haven't seen the best Selina Barrios yet, and that is scary. She is taking the boxing world by storm." The Aztec Queen Returns to Her Home State of Texas this Saturday, July 7th! Selina “Aztec Queen” Barrios (3-0, 1 KO) returns to the ring Saturday night, July 7th as the main event in Corpus Christi, Texas in the well established American Bank Center Water Garden Room bringing a loaded card of fistic fury. Barrios owns the NABF lightweight title which she won in her 3rd professional bout. Her opponent Aida “Lady Sparta” Satybaldinova (3-0-1 draw) from Astana, Kazakhstan is known as the “Female GGG” and is the current WBF International Lightweight Champion. Both girls are undefeated and hold titles as lightweights. Barrios is also rated 18 in the world by the WBC (World Boxing Council). This bout will be held over 8 rounds. This bout is promoted by Reyna Promotions of Corpus Christi. The promoters were looking for a first class main event and landed a fight that is a solid television fight. The local ABC-TV affiliate in San Antonio will be in Corpus to film this fight live and stream it across the internet. Female and male fight fans across the world that know these two pugilists will be tuning in to watch an action packed fight as both warriors step forward and throw punches without grabbing and holding or running. Barrios and Satybaldinova are both guaranteeing a knockout. “Selina has never been pressured in a boxing ring with a fighter like myself”, states Satybaldinova. “I’m a pressure fighter that will take two punches to throw one bomb and I feel I will be too strong for her. I do know I don’t have to look for Selina and have watched her fights. She stands and fight which is made to order for me,” concludes the WBF Champ. 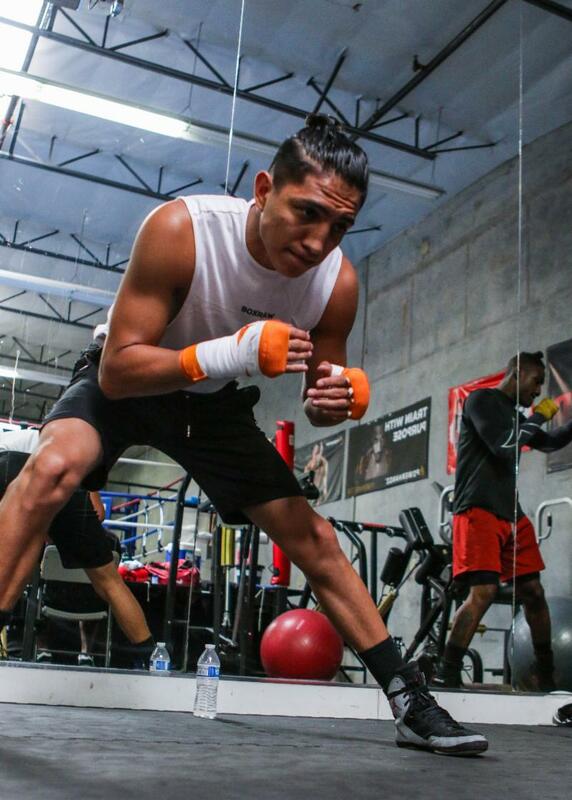 Mario Barrios, the 21-0 rated junior welterweight brother of Selina, called his agents and promoters to let them know he is leaving camp to go to this fight and bringing a huge fan base with him. George Foreman’s former camp organizer is coming in to work the corner with Selina and Deborah Hawkins, the representative for the NABF Female Championship fights will be there to discuss a possible rematch for the championship if the fight is as competitive as she thinks it will be. GM3 Promotions from California, Keeppunching Entertainment from Louisiana, and CCC Entertainment from Corpus Christi, among other promoters are eyeing these two warriors for future shows and will also be in the audience along with other well known agents, managers, and promoters. Eying this fight from long distance is DiBella Entertainment in New York as Lou DiBella is building a huge stable of top notch female fighters across the globe. Great athletes, especially boxers and in this case female boxers, are very fascinating. It’s a thrill to watch two undefeated female athletes compete against each other while the rest of the world of female fighters avoids the undefeated stars. The difference between the greats in boxing and the contenders are those who appear to be fearless and accept all challenges and how they respond to adversity. The greats put in persistent effort to excel while the contenders lose steam and regress by fighting easier fights regularly. This will be Barrios’ second undefeated opponent in only her 4th fight and both have had very advanced amateur backgrounds. Satybaldinova, on the other hand, is coming into unfamiliar territory. That is what the greats do. Two potential greats meeting head to head early in their careers with each having the utmost confidence that they will win by KO. Character in action comes to you in an 8 round bout in Corpus Christi on July 7th with two undefeated females who are both avoided by the top rated girls in the sport but sooner or later these rated girls will have to put their “character in motion” and face the challenges of Selina and Aida. 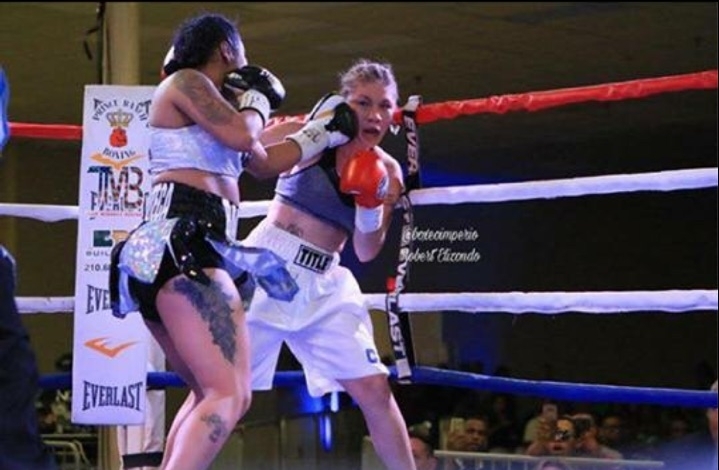 Kerry Daigle of Keeppunching Entertainment: “ In my 45 years of working in boxing this may be one of the most fun matches to be made in professional female boxing. Kazakhstan vs Mexico. You can’t ask for better athletes to compete against each other. Two champions….both undefeated….going head to head. TICKETS ARE PRICED AT $25 GENERAL ADMISSION AND $40 RINGSIDE. TICKETS CAN BE PURCHASED ONLINE AT WWW.TICKETMASTER.COMOR BY CALLING KRYSTAL, THE TICKET CO-ORDINATOR AT (361) 434-7750 OR ABLE AT (361) 425-3900. DOORS WILL OPEN AT 5:30PM WITH THE FIRST FIGHT AT 7PM. THE AMERICAN BANK CENTER WATER GARDEN ROOM IS LOCATED AT 1901 NORTH SHORELINE BLVD IN CORPUS CHRISTI, TEXAS. The weigh-in will be held Friday, July 6th from 2pm to 5pm at Brewster’s Street Ice House. The media and public is invited. ALL participants, managers, promoters, cornermen, promoters and agents will be in attendance for interviews etc. In female boxing like in a life, there is long road and a short one. Many say taking shortcuts in life is not the way to go but in boxing, it just proves how hard you have worked in the past and the talent you bring into the ring. That happens to be the case for 24 year old Selina Barrios (3-0, 1KO) of San Antonio, Texas. 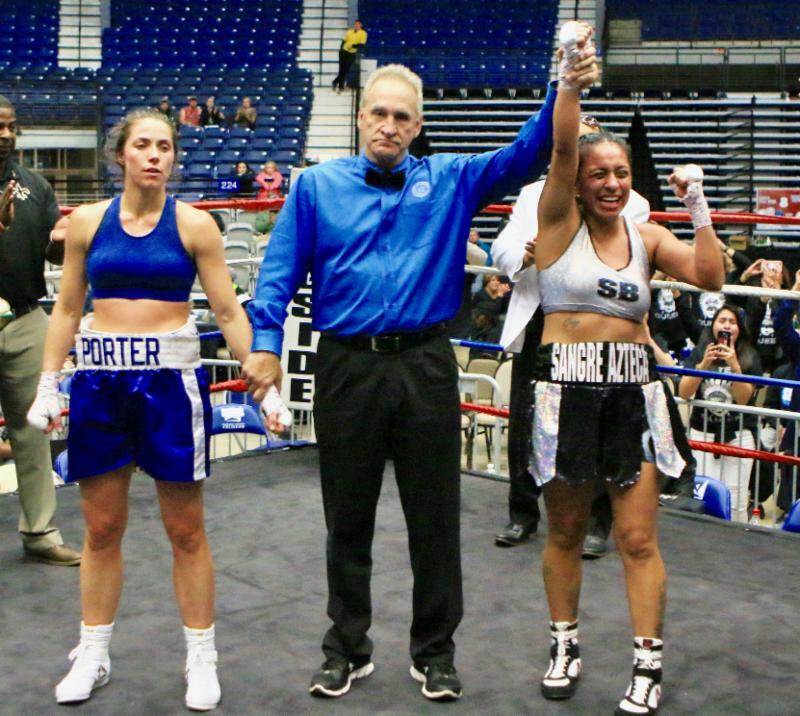 With only two pro bouts she captured the vacant NABF lightweight title in her third fight this past December 29th against the talented Lisa Porter. The regional title, her first, came after a long road inside boxing gyms, amateur tournaments and sacrifice that began at the age of nine. Originally from Racine, Wisconsin, her family, father, mother and younger brother Mario, moved to Texas to be closer to her grandmother. Once there, her once-amateur fighter father took both she and her brother to a boxing gym. Her brother is super lightweight Mario Barrios (20-0, 12Kos). After a year training, Barrios had her first amateur fight at the age of 10. At that point she began a career which saw her amass an impressive record of 75 wins against only 4 defeats in the unpaid ranks. Within that she captured various tournament titles with the biggest being four Ringside World titles, Silver Gloves, Golden Gloves, the Texas Games and Junior Olympics. Barrios soon saw herself in the 2012 Olympic trials where she beat Top Rank fighter Mikaela Mayer but lost to the #1 ranked Queen Underwood. Because of the experience Barrios developed a bitter taste towards boxing which saw her leave the sport for the better part of four years. In between that time Barrios became a mother to a three-year-old little girl. Barrios jumped back into the gym but not without its trials and tribulations before having her first professional fight in her hometown of San Antonio, Texas. In her first fight as a professional without headgear and smaller gloves, Barrios knocked out the over matched Tammy Franks in the first round of four. It happened so fast, Barrios hardly remembers any of it. 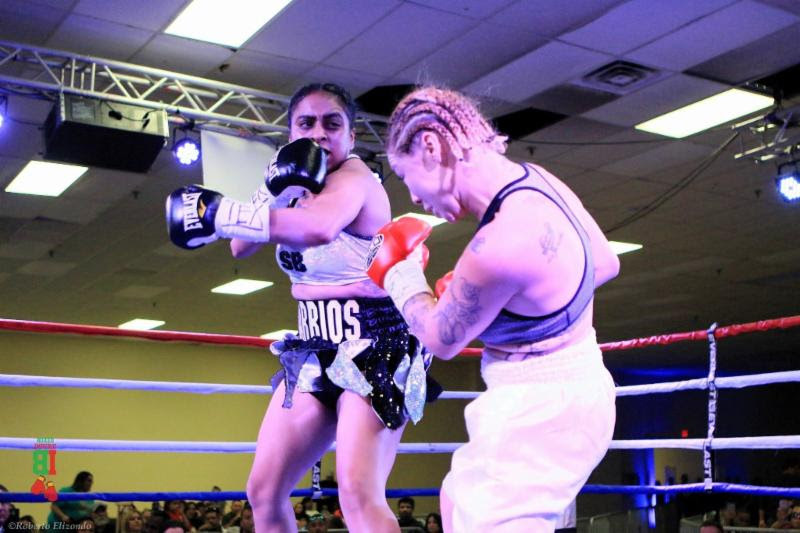 Surprisingly, the developing Barrios took a huge step in competition in only her third pro fight facing amateur standout Lisa Porter for the vacant NABF lightweight title in Louisiana on December 29th. Barrios walked away with a hard fought majority decision as well as the new white and green strap around her waist. Barrios won by majority decision. A nice surprise was the fact her brother was in the stands cheering her on. Another fight she has no issue making right now is against the current WBA lightweight champion and perhaps the biggest name in the division, Ireland’s Katie Taylor. ALEXNDRIA, LA (December 29, 2017) - Tonight at the Rapides Parish Coliseum in Alexandria, LA, Selina "Aztec Queen" Barrios (3-0, 1 KO) remained undefeated with a majority decision victory against "Lovely" Lisa Porter (1-1-1), capturing the lightweight NABF title. From the opening bell, Barrios applied constant pressure, forcing Porter to fight going backwards. Both fighters, who were outstanding amateurs, showed their experience as adjustments were made throughout the fight. Porter used effective holding to disrupt Selina's come forward style, but it wasn't enough as Barrios was determined to land her power shots. Barrios made the fight uncomfortable for Porter by cutting off the ring, forcing her to fight on the inside. Porter, who likes to use lateral movement, couldn't get into a rhythm, due to Barrios' going right at her. Scorecards read 97-93, 96-94, and 95-95. "First off, I want to thank the NABF for giving me the opportunity to fight for their belt this early in my career," said Selina Barrios. "I wanted to come out tonight and show the world that I'm elite when I step in the ring. I knew fighting a hungry boxer like Lisa Porter wasn't going to be easy. I had to control the action from the first bell, and dictated my game plan, just like my trainer Rick and I discussed. She didn't like the pressure and it showed as the fight went into the later rounds. Lisa Porter is a class act and I'm thankful to her for taking this fight. Now that I'm the new NABF lightweight champion, I'm looking to step in the ring with anyone. Bring on all the champions!" "Selina is one hell of a fighter and she showed why she belongs in the ring with the best fighters in the world," stated Kerry Daigle, who advises Selina Barrios. "A win against a decorated fighter like Lisa Porter, should say a lot about Selina and her talent. All the champions should be put on notice, Selina Barrios is coming for their belts." ALEXANDRIA, LA (December 28, 2017) - Undefeated female fighters, Selina "Aztec Queen" Barrios (2-0, 1 KO) and "Lovely" Lisa Porter (1-0-1), both made weight for their upcoming NABF Lightweight title bout, set to take place this Friday, December 29th, at the Rapides Parish Coliseum in Alexandria, LA. Barrios weighed in at 129.5 lbs. while Porter tipped the scales at 129 lbs. KEEPPUNCHING ENTERTAINMENT (KPE) has partnered with BEST WESTERN OF ALEXANDRIA to be the official headquarters for the CHAMPIONSHIP BOXING series being brought to CENLA (Central Louisiana). On July 18th of this year, Martha Turner, the general manager of the Best Western stepped in to be involved in Keeppunching Entertainment’s (KPE) nationally televised show. Since that time the excitement and energy of BIG TIME BOXING has never left the spacious hotel. Former heavyweight champions of the world stayed at the sprawling property as they were involved with KPE’s debut show in the Rapides Parish Coliseum where millions watched the televised show all across North America and other parts of the world. World rated contenders who have been seen on national television regularly were seen walking around the local hotel. On December 29th, KPE is bringing another star studded show with 9 phenomenal fights on the undercard of a NABF (North American Boxing Federation) Female Lightweight Championship match between two of the most entertaining and avoided female boxers in North America. Selina “The Aztec Queen” Barrios is being matched against “Lovely” Lisa Porter in a 10 round blazing matchup. Barrios is a multiple Ringside World Amateur Champion while Porter is a multiple National Amateur Champion. Both boxers have been avoided by the top rated females in the lightweight division. They are now meeting each other as undefeated professionals. The winner of this match will be in contention for a world championship fight as they will lay it all on the line. Tickets are available at ticketmaster.com and the box office of Rapides Parish Coliseum with Champagne tables at $1000 for seats of 8 and $800 for seats of 6. Other seating are Ringside for $100 and $150 with other seating from $50, $25 and as low as $11 for families. For those driving in from out of town and wanting to get a special rate for a hotel room and staying over night a phone call to the BEST WESTERN (318-445-5530) will save you money. Just use the code KEEPPUNCHING and your rate will be $59 for a KING, $69 for a DOUBLE, and $79 for a SUITE. The hotel is located at 2720 MacArthur Drive, Alexandria, LA 71303. See you there for the most exciting boxing show in Louisiana closing out the year. Go to www.keeppunching.com for more information and facebook.com/keeppunchingentertainment . Professional boxing in all its glory is coming back to Alexandria at the Rapides Parish Coliseum on Friday night, December 29th. The holidays are a time where everyone is busy enjoying family time and visiting. This will be a time Louisiana and surrounding states can take some time off and enjoy a night of fistic fury. It all started in July of this year when KeepPunching Entertainment brought national television to the City of Alexandria. The world got to see a place centered in the middle of the state that could potentially bring big time boxing back to Louisiana, with memories of the glory days from the 1930’s and 1950’s. This time, Alexandria will host a female championship fight as one of the main events for a major title bringing in 5-time world amateur champion, Selina “The Aztec Queen” Barrios who left amateur boxing with an amazing 80 win to 3 defeat record. This is something you would expect in Madison Square Garden or at the Forum in Los Angeles and a casino in Las Vegas. The undercard is loaded with talent that will produce fistic fireworks that the casual and most astute fan will enjoy. All across the United States, in gyms with fighters from different nationalities, you will hear the “thump, thump” sounds of gloves hitting heavy bags as these pugilists set out to chase their dreams and bring those dreams into Alexandria. Yes, these same fighters open doors to “make-shift” gymnasiums, bathed in fluorescent lights, where the smell of sweat is thick in the air. A win in Alexandria could propel them into a national televised fight as they chase the opportunity to fight for a championship to feed their families. KeepPunching Entertainment has found a home in Alexandria to build future world champions and plans to make this city a boxing franchise for the state of Louisiana. Fans will be able to meet the young men and ladies that started their careers in Cenla and later become household names. History will be made in the Rapides Parish Coliseum and you, the fan, will be part of tales of transformation from some troubled kids who turned their lives around in the boxing ring. Boxers will arrive from different parts of the United States and possibly Canada to compete in this new arena.“Fans are going to experience a one-of-a-kind event,” says Rob Antoon, “and be offered the opportunity to purchase food service with a menu at champagne tables with snacks offered complimentary and a full bar available in the arena.” “I have yet to see this type of first-class event anywhere in the state or the USA”, says David Rivas, an employee of the Paragon Casino Resort. He concludes by saying, “On top of that, there will also be an opportunity for families to purchase tickets for as low as $11.00 until they are sold out, with other seating at $25.00,$50.00, $100 and $150.” Sponsors have stepped up with more joining in the fun atmosphere of this top notch event at the end of December. Christmas presents sometimes are hard to figure out and buy for that sports fan. What a surprise for someone to open their present and see tickets for the fan to bring their friends and family to a fun night right before New Year. As Don King would say, “Only in America.” I beg to differ and say, “Only in Alexandria!” Keep punching! See you at the fights for the time of your life. Top 5 Christmas Gifts for the Guy Who Has Everything! #1: Ringside Seats to Friday Night Championship Boxing at the Rapides Parish Coliseum on December 29th! RAYNE, LA (November 2, 2017) - Two days after Halloween, unbeaten female sensation, lightweight Selina "Aztec Queen" Barrios (2-0, 1 KO), has spooked her opponent, Zarina Tsoloyeva (Pro Debut) from Zhaksy, Kazakhstan, as she backed out of their scheduled 4-round bout, set to take place today at The Rayne Civic Center in Louisiana. Tsoloyeva refused to step on the scale at yesterdays weigh-in. "I was willing to fight Zarina Tsoloyeva, the decorated amateur from Kazakhstan, but she pulled out at the last minute, like my last two opponents." said Selina Barrios from San Antonio. "It's been very difficult getting opponents to fight me. I've always said, I don't care who they put in front of me, I'll fight anyone. I have that much confidence in my skills. I have no choice but to move on, but I'm respectfully sending a message to everyone in the lightweight and super-lightweight divisions, I'm not going anywhere, eventually you will all have to fight me." Nothing will derail Selina as she stays positive and continues to work hard, looking for that opportunity to challenge the best the lightweight and super-lightweight divisions has to offer. Selina's handlers must now move her to six and eight round bouts right away, to chip away and get to a championship fight as she gains more ring experience as a professional. "Looking at all the top lightweights and super-lightweights, I predict Selina will fight for a world championship before her tenth fight," said advisor Kerry Daigle. "Possibly by fight number seven or eight. We're going to move her into six and eight rounders moving forward. I'm already in talks with the sanctioning bodies to get her ranked." "If no one wants to fight me, then I'm calling out all the name fighters in the division," Selina Barrios continued. "Amanda Serrano, Mikaela Mayer, Jessica McCaskill and of course, Katie Taylor, I'm willing to fight you guys anytime, anywhere. Like I said, at some point, you will all have to fight me." SAN ANTONIO, TX (October 31, 2017) - After two pro fights, super-lightweight female sensation, Selina "Aztec Queen" Barrios (2-0, 1 KO), who hails from San Antonio, TX, has assembled a dynamic team to help guide her to the pinnacle of women's boxing. Dr. Charles Campbell and his son Colin Campbell from Corpus Christi, TX, will co-manage Selina Barrios. Colin will handle the day to day operations, while Dr. Charles will help guide her career as a boxer, and personal pursuits in her professional life. "My son Colin and I are very excited to be working with such a talented fighter like Selina Barrios." said Dr. Charles Campbell. "Selina has the one element in boxing that all fans want to see, and that's punching power. In addition, Selina has the mindset you look for in a fighter. The fact that she's willing to fight a standout amateur like Zarina Tsoloyeva, in only her third pro fight, says it all." "Selina is the type of fighter that everyone in boxing should rally behind," Colin Campbell stated. "She's overcome a lot of adversity to get where she's at today, and the girl can fight. She's certainly more exciting then most of the male boxers we see on TV today. Selina was born to be on the big stage, and with her fighting style, she will become a fan favorite as soon as they see her fight." Kerry Daigle, from Baton Rouge, Louisiana, who runs Keeppunching Entertainment, will stay on as Barrios' advisor / consultant, and aid in getting Selina in the biggest fights that women's boxing can provide. "Several promoters are seeking to work with Keeppunching Entertainment and Selina Barrios because she might be the most TV friendly female fighter in 20 years, with the opportunity to sell out venues, even better then male counterparts." said Kerry Daigle. Selina's dad Martin Barrios, who has been in her corner since she was a top amateur, will serve as the chief trainer. He played a significant role in helping Selina acquire an astonishing amateur record of (80-3), in addition to her sustaining an undefeated record as a pro. "Selina is a tremendous fighter with the punching power to change a fight with one shot." Martin Barrios stated. "I'm not just saying that because she's my daughter, I've seen her destroy folks in the gym. I'm super happy that I was able to get Mr. Daigle to believe in Selina. I know with his connections and Selina's talent, we as a team, can do something special in women's boxing. Rick Nunez, will oblige as the assistant trainer. Nunez, from San Antonio, TX, has worked side by side with Martin, helping Selina become one of the most dangerous fighters in women's boxing. "With women's boxing on the rise, Selina now has everything set in place to become a big star in the sport," Rick Nunez stated. "You need a solid team behind you to make it in boxing, and that's exactly what we have now moving forward." Maurice "Termite" Watkins from Houston, TX, and Ben Flores, of Corpus Christi, TX, will share duties as camp coordinators to the trainers. Watkins, who fought in the lightweight division as a professional in the 70's, 80's and 90's, had a spectacular record of (61-5-1, 42 KOs). Selina's younger brother, undefeated super-lightweight contender, Mario Barrios (20-0, 12 KOs), has been in awe of his sister since she was as dominate amateur. "Growing up, my sister was the best fighter in every tournament we entered." said Mario Barrios. "She literally wrecked everyone in her weight class. It wasn't until I was a late teen that I was able to hang with her. I love my sister and I know with the powerful team that she has behind her now, she can become a world champion." Ann Wolfe, who was one of the most devastating punchers in women's boxing history, has been a big fan of Selina since her days as a dominate amateur. Wolf has seen Selina destroy her competition while fighting in the amateurs. "Selina Barrios is a beast," said former world champion Ann Wolf. "I haven't seen anything like her since my days as a professional boxer. She definitely has the talent to become a multiple world champion." "I'm looking forward toward a great career, that I hope will last many years," said Selina Barrios. "I have a great team behind me now, I know if I put in the hard work, everything will work out, and my dreams will come true." SAN ANTONIO, TX (October 27, 2017) - Undefeated female sensation, super-lightweight Selina "Aztec Queen" Barrios (2-0, 1 KO), returns to the ring Thursday, November 2, 2017 in Louisiana at The Rayne Civic Center. Barrios will face the highly touted Zarina Tsoloyeva (Pro Debut) from Zhaksy, Kazakhstan, in a 4-round bout in the super-lightweight division. The card titled "RAYNE RISING" is presented by Bad Chad's Boxncar Promotions. Barrios, who hails from San Antonio, TX, is the older sister of undefeated super-lightweight contender, Mario Barrios (20-0, 12 KOs). As an amateur, Selina had a remarkable record of (80-3), most of which came by stoppage. She has a notable win against USA Olympian and Top Rank fighter, Mikaela Mayer (2-0, 2 KOs), and vows to make a statement against Tsoloyeva. "Even though Tsoloyeva is making her pro debut, she's a big step up in competition," Selina Barrios said. "She had a great amateur career and I know she's going to be a tough opponent. All I know is I'm going to bring the heat, and show her why I'm the most dangerous fighter in women's boxing." Selina Barrios is guided by longtime boxing manager, Kerry Daigle, who believes Barrios is one of the most exciting boxers he's seen in years. Zarina Tsoloyeva, best known for her resemblance to actress Angelina Jolie, won a bronze medal in the Kazakh national championships. She's a highly accomplished amateur champion with great boxing skills. Tickets to "RAYNE RISING" priced $25 General Admission (Pre-sale), ($30 general admission tickets at the door), $125 VIP Ringside, and $800 1st Row Executive Tables, are on sale now at http://www.boxncar.com/buy-tickets/ or by calling (337) 298-7658. The Rayne Civic Center is located at 210 Frog Festival Dr, Rayne, LA 70578. Doors open at 6:00 p.m. first bell at 7:00 p.m. TRIPLE J ( Justin “Jawbreaker” Jones), heavyweight, talks Murat Gassiev in Big Bear, California and Abel Sanchez in preparation for Gassiev’s fight against Wlodarczyk in the WBSS (World Boxing Super Series) Cruiserweight Tournament. Triple J calls out Hughie Fury and looks forward to fighting top ten contenders. 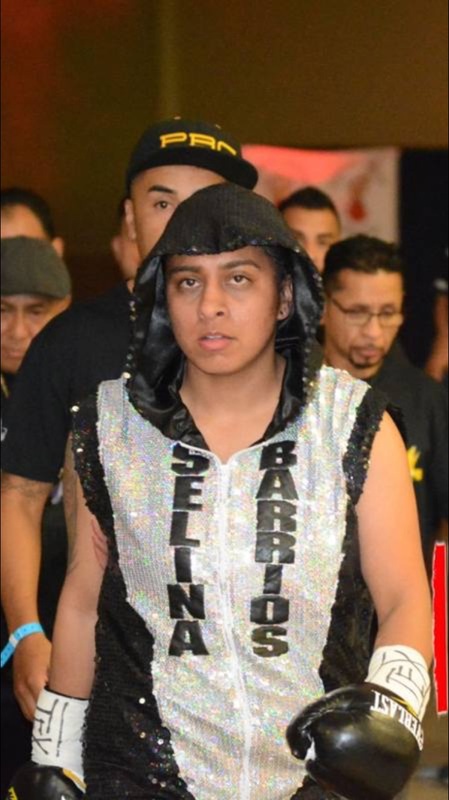 World Boxing News: "Salina Barrios continues unbeaten run with dominant win"
This past Saturday at the San Antonio Event Center, Selina "Aztec Queen" Barrios (2-0, 1 KO), remained undefeated with a dominating four-round unanimous decision victory against Jasmine Clarkson (4-10). From the opening bell, Barrios applied a tremendous amount of pressure, never letting Clarkson breathe. Hard shots to the body and head forced Clarkson to fight going backwards the entire bout. The bout almost ended when Selina stormed landed a barrage of punches at the end of round three, but Clarkson was saved by the bell. Clarkson was able to survive and make it to the final bell. Score cards read 40-36 twice, and 39-37. "I felt really good going into this fight and it showed in my performance," said Selina Barrios. "I was able to cut off the ring and put a lot of pressure on Jasmine. She was very tough and I give her a lot of credit for going the distance. I felt I won every round but one judge didn't see it that way. My goal is to get back in the ring as soon as possible."